Chinese authorities recently announced that they would ratchet up efforts to blanket the country’s rural areas with security cameras, extending the kind of high-tech, AI-enhanced surveillance used against city residents to the rest of the populace in remote towns and villages. As with the 20 million “Skynet” cameras that are already in place throughout China’s urban areas, the “Sharp Eyes Project” is pegged as a public safety measure to help fight crime more effectively. But the project has an additional feature that has gone an extra step in turning China into an Orwellian dystopia: televisions and smartphones inside rural households will be linked with the authorities’ surveillance systems, allowing authorities to monitor citizens’ activities remotely via video surveillance. The technology was developed by the Guangdong-Province-based AEBELL Technology Group Co., according to a report by Radio Free Asia. Police in the Beichen District of Tianjin City have even designed an app that allows them to access surveillance footage on their smartphones. A villager in Qiaojia County, Yunnan Province told The Epoch Times in an interview that he believes the Sharp Eyes Project is an extension of the Chinese regime’s continued tactics to monitor citizens and suppress any hint of dissent. Some locales have already begun implementing the project. In the Luhe District of Nanjing City, local authorities emphasized on their website that the security cameras will “totally cover everything, with no blind spots.” In small streets and alleyways that cannot be covered by cameras currently in place, the authorities plan to install 200 “mini” cameras that employ artificial intelligence to collect electronic information. In Sichuan Province, authorities said more than 14,000 villages have already set up “Sharp Eyes” cameras, totaling over 41,000. 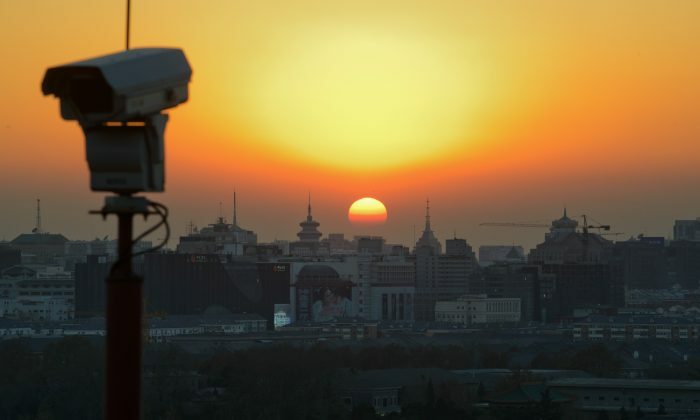 In Shandong Province, authorities have installed 293,000 cameras, in addition to setting up close to 2,500 “monitoring centers,” according to a February report by the state-run Legal Daily. Meanwhile, in Zhengning County, Gansu Province, one of the most impoverished regions of China, authorities plan to set up 214 monitoring centers, 368 cameras, three facial recognition machines, among other surveillance equipment, estimated to cost 5.5 million yuan (about $854,000). Luannan County in Hebei Province will invest 30 million yuan (about $4.5 million) to build 2,300 monitoring facilities. The Chinese regime is in pursuit of the latest technology in order to more aggressively monitor its citizens. It is the world’s largest market for surveillance equipment. 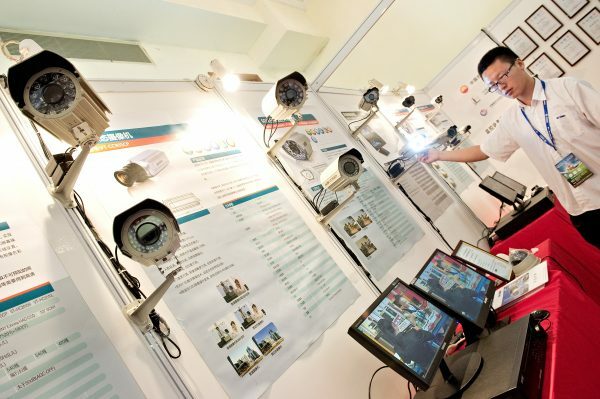 In May, an international exhibition for surveillance equipment was held in Beijing, hosted by China’s Ministry of Public Security. The fair included machines that can monitor content on mobile phones and computers and forcibly extract data and passwords from them, robots that can identify people in a crowd, and police glasses that can scan crowds. Facial recognition cameras have already been used to identify and detain dissidents. Much of this high-tech equipment has been employed in the southwestern region of Xinjiang, where authorities have clamped down on the ethnic minority Uyghur population with a brutal campaign of suppression. This week, China unveiled a new “spy bird” drone that flies like a bird. It has already been used extensively in Xinjiang, according to a report by the South China Morning Post. Each machine is outfitted with a high-definition camera, GPS antenna, and satellite communication capabilities. Frank Fang contributed to this report.